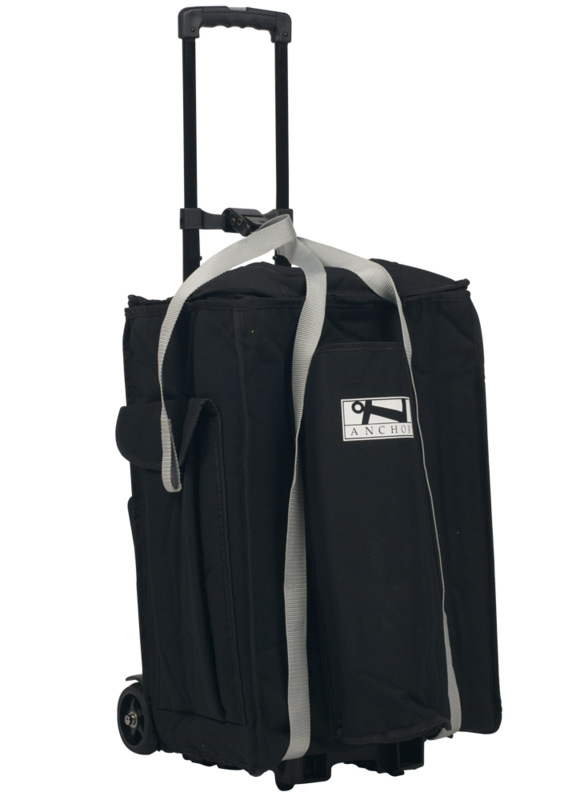 The SOFT-GG is a black nylon soft rolling bag for the Go Getter 2 portable sound system. Easily transport the Go Getter 2 from place to place with this rolling case. The front pocket holds a speaker stand (SS-550) while the side pocket holds microphones, cables, and other accessories. No need to make multiple trips back and forth during setup. The rolling bag can be folded and stored when not in use.